When it comes to small business loans the majority of banks and financial institutions are out of step with the needs of the small business owners. It is no wonder that entrepreneurs en masse are dropping the conventional loan application routine for faster and easier alternatives. Financing alternatives such as credit card debts, home equity loans, and early withdrawals from IRAs have become a major source of financing for business start-up or expansion. However, credit card loans and retirement savings withdrawals can be very costly if not handled strategically. Credit card interest rates can jump without warning to painfully high levels, and tapping your IRA or 401(k) early may result in your paying hefty taxes and penalties. Another alternative that is becoming more common is for entrepreneurs to take a loan from their retirement funds by setting up a Solo 401(k) plan with a loan feature. Solo 401(k) plans with loan features first became available in 2002, as a result of changes in the tax law. The Solo 401(k) – also called an Individual 401k or Self-Employed 401(k) – is designed for small business owners with no employees other than a spouse. Solo 401(k) loans are easy to obtain, come with low interest fixed for the term of the loan, and are repaid to the borrower’s account. You can transfer without dollar limit the funds from your IRAs, 401(k), 403(b), or other retirement funds into your Solo 401(k) plan. Once the funds are in your Solo 401(k), you can borrow a maximum of $50,000 or 50% of the balance in your account, whichever is less. 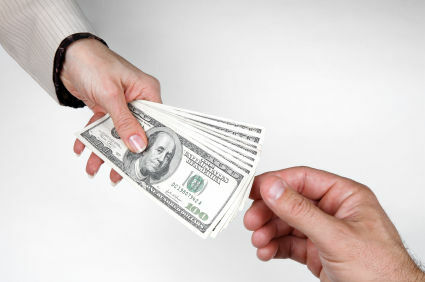 The loan process generally takes less than one month. But be careful, although a loan from a 401(k) plan is free of tax and early withdrawal penalty if the loan is not paid back on time the balance of the loan will be treated as a withdrawal subject to taxes and a possible 10% penalty. Given the potential penalties if done wrong and the complexity of the process, consult with a financial adviser to help set up a solo 401K with loan options and prepare the paperwork for the withdrawal. Do research on the interest rates, payment methods and necessary loan documents needed should you wish to borrow from your solo 401k.